Do you ever feel no matter how much you do, you still don't feel satisfied? No matter how much you give, people around still don't appreciate it? 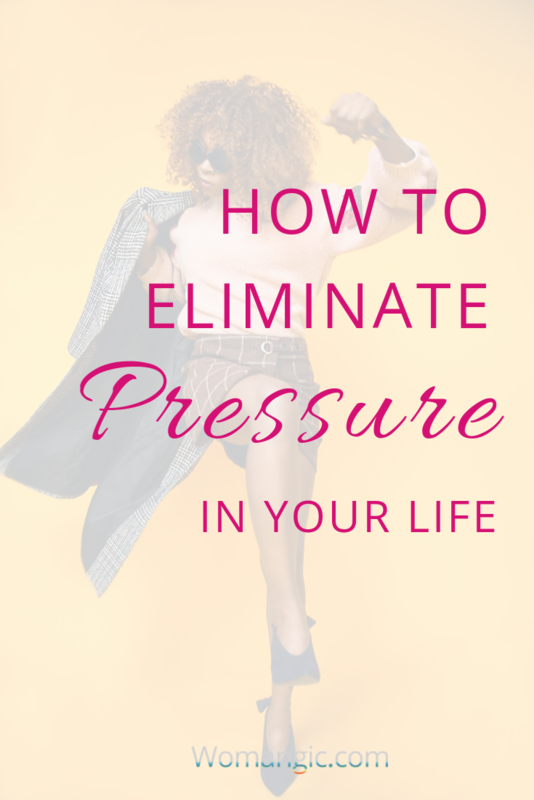 Do you feel constant pressure and the world on your shoulders? I heard from so many women that they put enormous pressure on themselves, do more and more only because they never feel any of their efforts are enough. It feels like we have to prove something to someone, it feels like a constant threat, a race, an exhausting search for approval, confirmation, acceptance. But no matter how much we give, we don't feel it, and only add more pressure. The answer to the puzzle of emotional exhaustion starts with the questions: do you give yourself as much as you give to others? Often with abusive behavior or rejection, others just show us what we don't give ourselves. It doesn't justify it, but the reason we can't leave abusive partners lies in a belief that we can't give ourselves what someone gives us. Ally believed she helped her friends and colleagues to open up by bringing compassion and kindness to their lives. She is extremely sensitive, kind and beautiful person. Although her intention was pure, she felt resentful and hurt; she felt like people around was pushing her away. The more she tried to give, the more they closed down from her. - Sometimes I feel like the only way to handle this is to shut down completely and become self-centered... But I just can't do it; I know in my heart it's a death of humanity, of kindness, of joy. - Why do you feel this way? - It hurts... it hurts so much when you try always to be there for people, give them as much as possible... and they still push you away. - Why do you think they push you away? - Well... they don't talk or get annoyed or reschedule hundreds of times and then when we finally make it, they check phone over and over and don't really care...? - Your intention is beautiful, and I know you really sincerely care about others, - I looked into Ally's eyes, and she nodded, - but often others are our teachers... Your Soul wants to show you something through them. Do you wish you had such a good friend or partner as you are? - But generally... I think yes. - So my question is, - I paused to squeeze Ally's hand warmly, - why can't you be this person for yourself before you try to be it for someone else...? She gasped and sank into the chair. - Wow ... - her eyes got wet, - are you saying they push me away because I try to give love, be kind, attentive, helpful, but don't have all those things to give...? - They reflect something you need to learn. - It makes so much sense now... with friendships, boyfriends... But why does it annoy people so much? - When we try to pour our Soul out before fulfilling our own cup, people feel we try to fix them... There is no inspiration, no drive, joy or genuine compassion. - Oh my... it's like I force myself like I have to be there for them... and people can feel it. - Yes. It feels like rejection, but they are only showing you what you need to give yourself first. It is about taking responsibility without blaming yourself. And taking responsibility is freeing. With Ally we worked on the ways she could be more kind, compassionate and loving to herself. She learned to manage her inner critic and noticed others stopped criticizing her or at least it didn't hurt her feelings as much. Bit by bit Ally started to ask herself: what do I want? And then she did it. Her relationships improved. She had more energy, more inspiration to share than ever before. She felt less pressure. So many women create pressure because deep inside we believe we have to be helpful, nice, good. Although at first you might disagree with it, ask yourself if you experience any resentment towards others. If yes, it's probably one of the reasons. Do you force yourself to be there when you are burning from exhaustion..? Can you say no? And how can you feel at ease with yourself when there is enormous pressure to always respond to everyone, but yourself? 1) Being truly helpful is better than being comfortable, agree? Stop being a comfortable woman! We can only take care of others and truly love when we take care and approve of ourselves. Do you attach your self-esteem to being right? Do you fiercely try to prove your opinion matters? Funny fact, as soon as you stop, approve of yourself, express your thoughts without a need to be right, and accept others, you become more heard and appreciated. Who are you in your core? What values do you choose? Are you a controlling "everything- needs-to-be-like-I-want," "I-know-better" kind of person? No. You are the light. Trust. The universe cares of you. Trust what you know deep in your heart. What reality do you choose? One of your disturbing thoughts or the one in your heart? The one you know to be true requires you to believe, to stay centered, peaceful, strong. Old reality is easy: just repeating the same patterns, resenting, feeling hurt. Do you want to feel hurt anymore? Look at the world if you are going to die tomorrow. Look at the people the same way. Will you cling to all the pain if it was the last day of your life? Will you control? Like, for real? I don’t think so. You will trust, and breathe and believe. Dive into the world, into what your heart knows to be true: love, compassion, joy, healing. You know it is in you. Go for it; you deserve it. P.S. First time here? Sign up to stay connected with us and receive regular updates on worthiness, balance and lasting self-love. Curious to learn how to master your worth and tune to the divine feminine? Check the S.P.I.R.I.T formula course, that helped thousands of women to increase their confidence.